At first glance you may think its just another color-themed pack from Supra, but these three models are crammed with technical features. 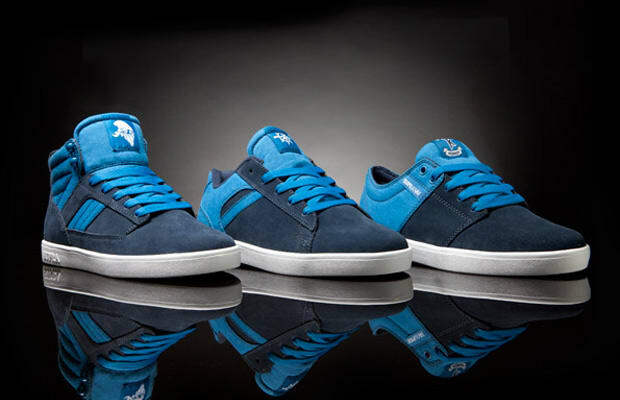 The Supra Two Blue Trio which is made up of the Supra Bandit, Bullet and the Stacks wrapped in beautiful Navy Blue suede and Royal Blue canvas features the Supra SUPRAFOAM midsole as well as a lightweight cupsole and an EVA sockliner. Don&apos;t be fooled by the looks, this trio is ready to get down when you are. Check for them now at select Supra retailers and of course suprafootwear.com.